The Greater Binghamton Chamber of Commerce and the YP Alliance invites all Young Professionals in our region to join us on Friday, September 14 at the Holiday Inn Binghamton for an innovative conference. With the tremendous success of last year’s inaugural half-day YP Summit, this year’s conference will be a full-day with half-day options. Nationally and regionally known speakers will lead over a dozen interactive break-out sessions throughout the event. The topics will cover a wide spectrum of personal and professional development topics for Young Professionals. The YP Summit is a great opportunity for companies and organizations to provide professional development opportunities geared toward, and planned by, millennials. Companies can take advantage of corporate pricing levels to send larger groups of young professional staff. 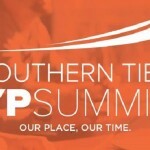 The unique aspects included in the YP Summit are critical to the retention of young professionals in the Greater Binghamton region. The structure of the day allows for meaningful conversations and connections made between attendees, as well as building business and leadership skills. The Young Professionals (YP) Alliance is a new strategic partnership of the Greater Binghamton Chamber of Commerce. We’ve established a network consisting of the Southern Tier Young Professionals, The Emerging Leaders Society, and The Broome County Urban League Young Professionals to empower the young professionals and emerging leaders of Broome County. Please note: Since this is a STYP member benefit, this discount code can be applied only by STYP members, and will be cross checked prior to the event, so please only share the code responsibly amongst other members. If you have any questions about your membership status, please email styp@styp.org. Join STYP for our September Quarterly Meeting, hosted by the Goodwill Theater & Schorr Family Firehouse Stage in Johnson City! The meeting will begin at 5:30 at the Schorr Family Firehouse Stage, and will consist of an overview of STYP’s past and upcoming events, an interim election to elect new members to our at-large board, and a tour/presentation of the Goodwill Theater & Firehouse Stage. We will also be distributing informational material and answering questions about the upcoming Southern Tier YP Summit as well. 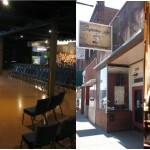 Following our meeting, we will adjourn to the Grapevine Cafe at 220 Main St. at 6:45pm for a social/networking mixer. Appetizers will be provided, and refreshments will be available for purchase. 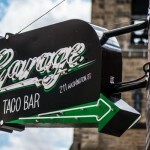 Join STYP and BU BOLD (Bearcats of the Last Decade) for a Summer Networking mixer at the Garage! This event is the perfect occasion to meet and network with young Binghamton University alumni in our area, as well as catch up with other STYP colleagues. Our group will be on the outdoor patio, and food and drink specials will be offered.